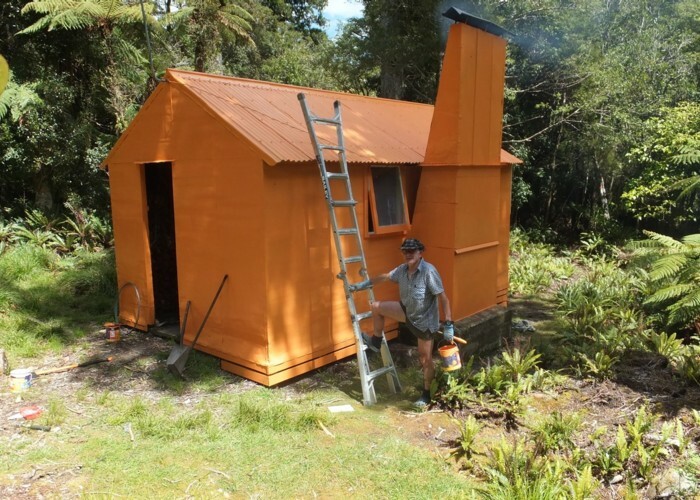 exNZFS and TTC member Grant Timlin at the recently repainted Mid Waiohine hut. Back to original NZFS orange. bmackz Way to go! Orange is the only colour for any self respecting hut. Added 1 December 2015 by TararuaHunterTararuaHunter. No revisions.